The Department of Civil Engineering was one of the original departments when the University opened its doors to students in 1849 and it has offered a BE degree continuously since then. 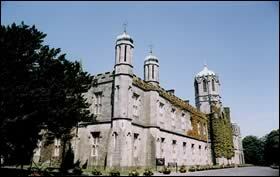 At the time of its inception, it was one of only six Schools of Engineering in Great Britain and Ireland. In the 19th century, Civil Engineering was the dominant branch of engineering and this was reflected by the curriculum at NUI, Galway also. the Faculty began to diversify and, since then,expansion has been rapid and decisive. The Department of Industrial Engineering was created in 1970 and the Departments of Electronic Engineering, Mechanical and Engineering Hydrology followed in the latter part of that decade. The growth in staff and student numbers has also been dramatic over the last forty years. In 1960, there were only two permanent members of the academic staff in engineering. By the year 2000, this had increased to 32. In 1970, 29 students graduated with BE degrees and by 2000, the intake to the faculty was in excess of 210 students per year. The diversity of the faculty is also evidenced by the fact that eight separate undergraduate degree programmes are now offered across all the departments. The B.E. degree programmes at NUI, Galway are accredited by the Institution of Engineers of Ireland (IEI) and are recognised internationally by professional institutions under the Washington Accord. 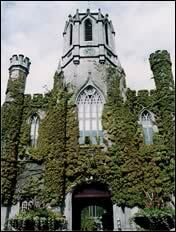 The National University of Ireland, Galway - (Ollscoil na hÉireann, Gaillimh) was founded in 1845 as one of the three original colleges of the Queen's University. 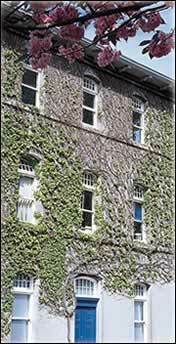 The College opened for students in October 1849. As a result the Irish Universities Act (1908), Queen's College Galway became a Constituent College of the new National University of Ireland and under a new charter the name was changed to University College Galway. In 1929, the College was given a special statutory responsibility in respect of the use of the Irish language as a working language. Under the Universities Act, 1997, the status changed to that of a Constituent University and it is now National University of Ireland, Galway / Ollscoil na hÉireann, Gaillimh. Since the 1960s the University has experienced significant and continuous growth, both in its stock of buildings, facilities and physical resources and also in the numbers of its students and staff. Its student body during the 1999/2000 academic year is over 10,000, with academically strong programmes of teaching and research across its seven Faculties. -1957), J. D. O'Keeffe (1958-1996), P.E. O'Donoghue (1997-). The department is located in Block E on the main campus. While there was an Electrical Engineering stream in the University from 1909 to 1932, it was not until 1979 that the Department of Electronic Engineering was constituted. At that time the student intake was only 12 per annum and this has now increased to 50 per annum (which gives a total of about 200 undergraduates). Reflecting the growing importance of Information Technology, the department instituted a new degree programme in Electronic and Computer Engineering in 1997. The first head of department was Professor James Calderwood and he was succeeded in 1990 by Professor David Wilcox. The department is located in the McLaughlin Building, Nun's Island. The Department of Mechanical Engineering was founded in 1980 and Professor Séan McNamara has been professor and head of the department since then. In addition to a degree in Mechanical Engineering, the department now offers a programme in Biomedical Engineering. The latter programme is a response to the major expansion of the Biomedical Engineering industry and the resulting need for highly skilled personnel. The department is located in the McLaughlin Building, Nun¹s Island. The Department of Engineering Hydrology evolved from the highly respected hydrology group in the University under the direction of Professor Eamonn Nash. Professor Nash served as head of department until his retirement in 1992. He was succeeded by the current holder of the chair, Professor Con Cunnane. The international standing of the department was recognised by the Overseas Aid section of the Dept. of Foreign Affairs through the establishment of a masters course in Engineering Hydrology. The department is located in the Powderstore, Nun¹s Island. The Department of Industrial Engineering was first established in 1971 to provide Industrial Engineers for the then rapidly growing manufacturing sector. The department now offers separate degree programmes in (i) Industrial Engineering and Information Systems and (ii) Management Engineering with Language. Professor Eddie O¹Kelly has served as professor and head of department since its inception. To date over 1300 undergraduate and postgraduate students have graduated from the department. The department is located in the McLaughlin Building, Nun¹s Island.